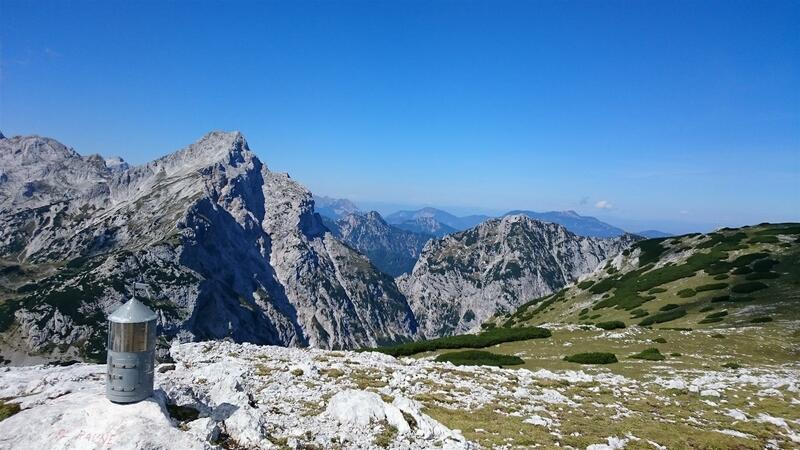 Selected mountain trails will help you discover the most beautiful spots in the Kamnik-Savinja Alps. All are marked with the typical Slovenian trail blaze which marks the direction of the trail, but not the difficulty of the trail itself. For tehnically more demanding trails we recommnd you for your safety to book a mountain guide. In order to hike safely around the mountain trails, we recommend that you use appropriate mountaineering equipment, such as hiking shoes or mountaineering boots and comfortable mountainwear which will protect you from the heat, wind and rain. Please use a helmet and mountain protetion gear on technically more demanding trails. The majority of trails lead past mountain cottages, providing mountaineers with food, drink and accomodation. Nevertheless, we urge you to bring a suitable amount of food and drink to sustain you on the selected hike. Most of the mountain cottages are open during the summer tourist season, which lasts from the middle of June to the end of September. With it’s 2.558 metres, Mt. 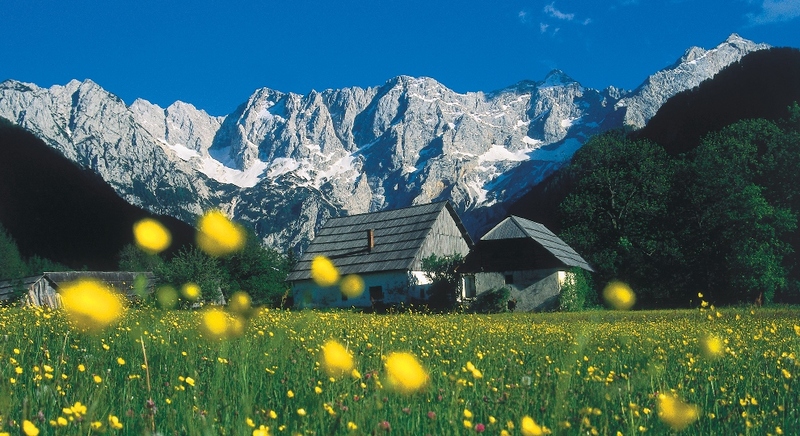 Grintovec is the highest mountain peak in the Kamnik-Savinja Alps. It’s characteristic pyramid shape can be recognised from afar, even from Ljubljana, the capital of Slovenia. 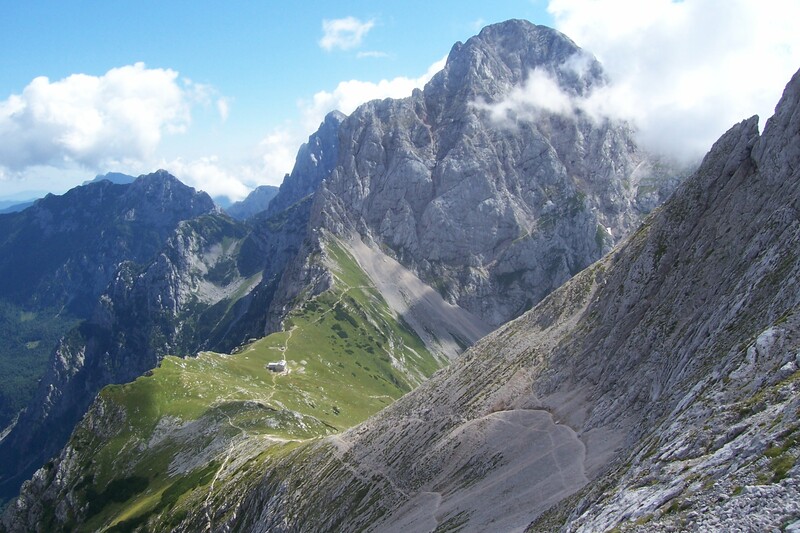 The trail has a nearly 2.000-metre difference in alltitude, one of the biggest in the Slovenian Alps. The world’s best mountain runners challenge themselves each year on this trail. Despite it’s lenght, the trail is not too difficult for fit hikers and can be covered in a day. 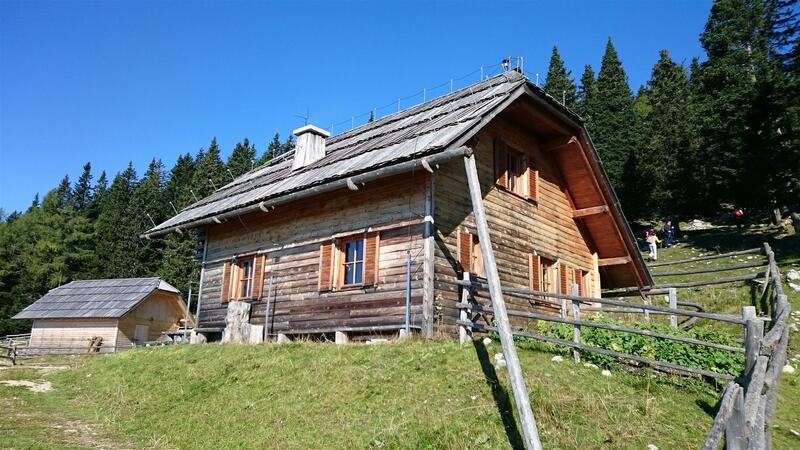 However, we recommend taking a 2-day tour and spending the night at the chalet Cojzova Koča at the mountaion pass Kokrsko sedlo. 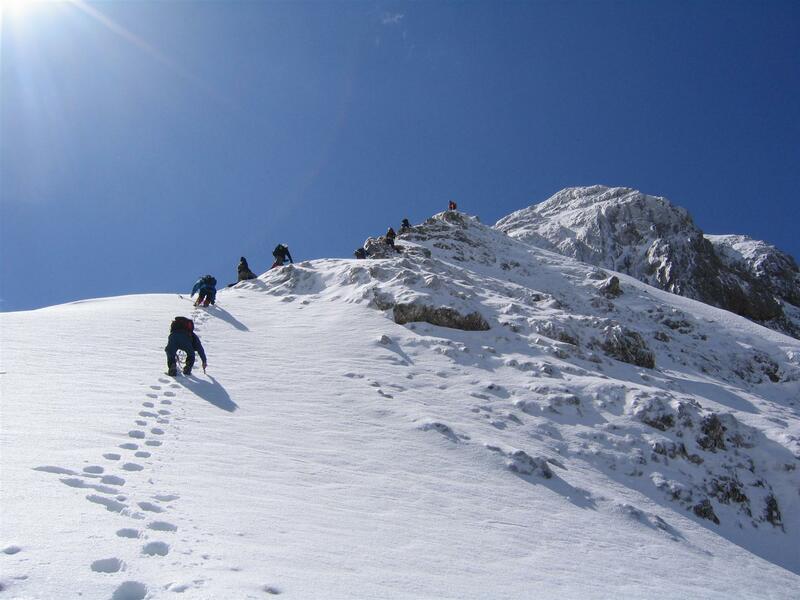 One can choose to reach the summit by following other routes, but they are considerably more difficult and would require hiring a mountain guide. Circular trail to the mountain heaven surrounding the chalet Češka koča. The trail leadibg from the valley of Jezersko to the chalet Češka koča connects two neighbouring valleys and enables us to take in all of the basutiful mountain scenery which surrounds Jezersko. Walking anlong the valley of Makekova kočna, we ascend whilst enjoying some great views until we reach Čedca, the highest waterfall in Slovenia. We descent past Mt. Štularjeva planina and arrive at the picturesque glacial vallley Ravenska kočna, which ends with lake Planšarsko jezero at its lover end. The lake bautifully reflects the northern rock faces which we can admire around the idyllic chalet Češka koča. This oldest mountain stop in the Kamnik-Savinja Alps has managed to perserve both the look and the homely hospitality of the days gone by. Mt. 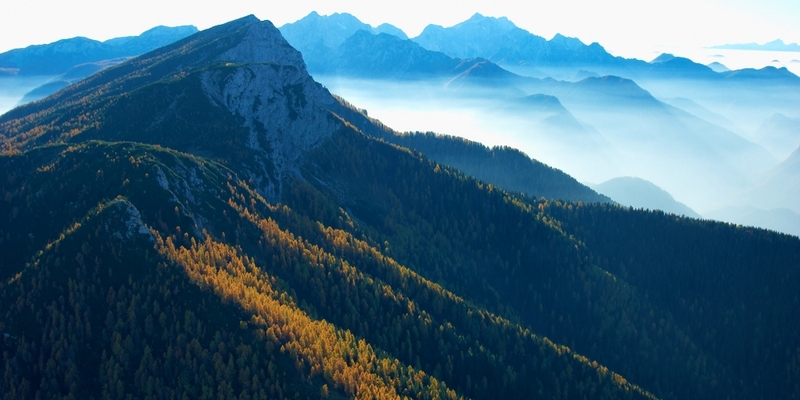 Raduha has two rock faces and is considered the highest mountain peak of the eastern part of the Kamnik-Savinja Alps. The northern rock faces are steep and rocky, while the southern slopes are covered with dense forests and solitary pastures all the way to the settlement of Luče. From there, a marked mountain trail leads to the mountain top. On the southern slopes of Mt. Raduha, we find the cave Snežna jama, one of the most stunning mountain caves in Europe. Its main attractions are calcite moonmilk speleothems and ice stalagmites, which due to constantly low temperatures do not melt year-round. If you do not feel like walking uphill to see this magnificent cave, you may drive up and park your car in the parking area beneath the cottage house at Loka. Mt. Storžič is an impressive mountain on the western part of the Kamnik-Savinja Alps. The trail towards its summit leads us past the mountain cottage at Mt. Kališče, whode views of the lower valley of Savska dolina attract many hikers. This destination is also siutable for a solo trip. The trail along the highest part of Mt. Storžič takes you along an exposed mountain ridge. Upon returning to the valley, you can visit the medieval Cerkev svetega Miklavža (the Church of St. Nicholas) above the village of Mače, which boasts frescoes from the 15th century. The area around Mt. Storžič was one of the first places where the Zois bellflower (Campanula zoysii) was discovered, which is endemic to the Slovenian mountains. 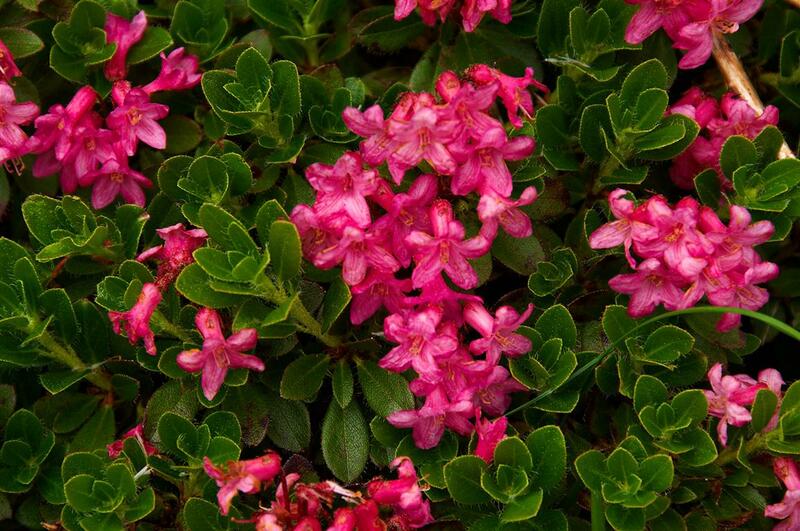 In addition to this flower, you will enjoy the sights and smells of many other mountain wildflower.